A mother. A daughter. Three possible dads. And a trip down the aisle you’ll never forget! That’s right, Starlight Family, the number one show you’ve been requesting for the past decade has finally become available, and we’re bringing it to you for Starlight’s 20th Anniversary! 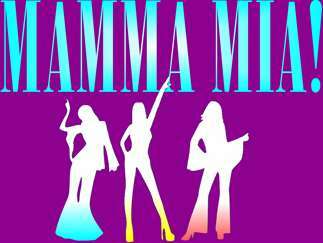 MAMMA MIA!, the ultimate feel-good show, combines young love, old love, and the chart-topping hits of international singing sensations, ABBA! On the eve of her wedding, a daughter's secret quest to discover the identity of her father brings three men from her mother's past back to the Greek island paradise they last visited 20 years ago. The story-telling magic of ABBA's timeless songs propels this enchanting tale of love, laughter, and friendship, creating an unforgettable show that continues to wow over 60 million audiences world-wide! Non-stop laughs and explosive dance numbers combine to make MAMMA MIA! the show you just cannot miss. Get your tickets early for this fan favorite – they won’t last long! !